In order to produce and maintain high quality in all products, A.D.A.M. has continually supported and refined its editorial process. An overview of this process is provided below. The process covers all content A.D.A.M. develops textually as well as its award-winning visuals. A.D.A.M. content is physician-reviewed and physician-updated, in collaboration with skilled consumer senior medical editors and writers. Every article is reviewed by two physicians. A.D.A.M. places a reviewer's name, reviewer credentials, and review date at the bottom of all pages. A.D.A.M. 's goal is to present evidence-based health information. Therefore, content in A.D.A.M. products is created by identifying the best available evidence from national guidelines, government agencies, recognized leading textbooks, and peer-reviewed literature. We ask our writers and reviewers to create content based both on the quality of the evidence and its applicability to everyday practice. Our editorial standard is to objectively communicate the current standard of medical practice. All writers and reviewers must disclose any actual or potential conflict of interest. Disclosures must be made to the appropriate manager, director, or vice president at hiring or when such an interest develops. Supervisors review with company officers to decide if a conflict of interest does exist. If conflict of interest is determined, the writer or reviewer is reassigned or steps are taken to rectify the situation. Anything that might be perceived as a conflict of interest will be clearly disclosed on every relevant article. All Encyclopedia and In-Depth Report content is reviewed at minimum every two years. In addition, A.D.A.M. has identified over 150 of the Encyclopedia articles as core content, which we update every 12 months. Criteria to identify core content include: frequent reasons people contact call centers, visit the ER, visit the doctor, and become hospitalized; chronic and complex illnesses; and conditions that are undergoing rapid change. All Complementary and Alternative Medicine content is reviewed at minimum every five years. We receive ongoing feedback from our physicians about which articles require expedited review based on their reading of the recent medical literature and awareness of changes in medical practice. Our Editors and Medical Director monitor peer-reviewed literature, announcements by government organizations, and new evidence-based guidelines published by major specialty societies for important changes in medical care that should not wait until the next scheduled review. External comments on our content are catalogued, evaluated, and considered in our review process. This feedback can trigger an article review. The feedback is given to the physician to use while reviewing the article. A.D.A.M. has established, maintained, and expanded a unique catalog of illustrations and animations. Since the beginning of our company, A.D.A.M. has been known for high-quality visual content and was one of the first publishers to illustrate every structure in both the male and female bodies. As a result, we have been able to leverage our core visual assets into multiple levels of product distribution. All visual content, including images, animations, and supporting text, are conceptualized, created, and reviewed by medical illustrators. All medical illustrators at A.D.A.M. have Master's degrees in medical illustration. Additionally, physicians and/or anatomical PhD's have reviewed this visual content for medical accuracy. Physician notification of important advances: We receive ongoing feedback from our physicians about which visual content requires expedited review based on changes in medical practice. Client and consumer feedback: External comments on our visual content are catalogued, evaluated, and considered in our review process. This feedback can trigger physician review of visual content. The focus of the A.D.A.M. visual content is adjusted to convey information to different markets. Illustrations can be simplified for the consumer market. They can also show a higher level of detail for the professional and academic markets. A.D.A.M. frequently uses illustrations to visually explain complex subjects, both to complement our health content and to enhance the educational value of our products. Through our internal illustration and animation style guide, we maintain visual consistency across all of products. A.D.A.M. 's visual content is a living, growing asset that continues to evolve. We periodically review the aesthetic appeal of our visual assets based not only on client and consumer feedback but also on emerging changes in the market. For example, our recent investments include creating a library of high-definition (HD) videos of medical experts explaining health topics for the consumer and patient markets. As a result of our dedication to aesthetic quality, A.D.A.M. artwork has received numerous awards throughout the years, including Best Interactive Site, Best Special Effects, and the Dr. Frank J. Netter Award. Our proprietary in-house content management system tracks articles to ensure that these editorial schedules are met. Every change a physician proposes is reviewed by a Senior Medical Editor. The editor may propose more consumer-friendly wording and return these suggestions to the physician for consideration and approval. Our content management system handles the workflow. An article update is approved and sent to the next stage when both the editor and physician mutually agree that the update is both medically sound and consumer friendly. Once an article is updated in English, it is sent into a workflow that manages the Spanish translation process (certain products only). Once both English and Spanish have been updated, they are published together and made available to clients. The general flow of the editorial process is provided below. The process is divided into 5 steps. In Step 1, senior medical editors, medical writers, or medical illustrators develop content. Previously published content is tagged for review and is internally reviewed for any additions or deletions. Additionally, since A.D.A.M. has built its reputation on the outstanding quality of its visual content, textual content is reviewed to add new or appropriate compelling visual content. Acquired content, depending on the source, may enter the editorial process at this stage. In Step 2, members of the Medical Review Board (MRB) and/or physicians from our external partner, VeriMed Healthcare Network, review all of the content. Both the MRB and the VeriMed Healthcare Network consist of board-certified physicians, who are specialists in their field. Physicians review content in their specialty areas; ensure content is up-to-date with the most recent treatment guidelines and practices, important studies, breakthrough drugs, and drug warnings; and help the A.D.A.M. Editorial Team perform consistency checks across products. Important medical advances to certain content and article reviews triggered by client and consumer feedback may enter the editorial process at this stage. All content reviews are approved by the Medical Director. In Step 3, A.D.A.M. 's Editorial Team reviews the content following medical review. The senior medical editors perform a fact check and update references based on suggestions from the MRB. The Editorial Team reviews all content, both textual and visual for grammar, style, and consistency. A content quality assurance check is also performed. Acquired content, which has demonstrated adherence to the criteria of the MRB and A.D.A.M. editorial standards, may enter the editorial process at this stage. In Step 4, the content is indexed, stored in our proprietary in-house content management system, coded, and tagged for presentation. Associated Spanish content is translated and stored in our content management system at this time. A technical and content quality assurance check is also performed during this step. In Step 5, content is provided to customers. Licensees integrate the A.D.A.M. content with their internet websites and provide feedback to the editorial process in the form of customer queries and inquiries. Content is regularly updated. In most cases, the update cycle is quarterly. Once a customer receives an update, they have a contractual obligation to implement the updated content on their site. A.D.A.M. has served millions of consumers around the world for over 29 years with award-winning, health information and products that have literally changed the way people look at their bodies, understand their health and wellness, and learn the science of medicine. As A.D.A.M. continues to grow, we are constantly creating new content internally while acquiring high quality assets externally. A.D.A.M. has made a public commitment to editorial excellence. We have been deeply involved in shaping the policies of Hi-Ethics, URAC, and the Center for Information Therapy, three cooperating organizations that have been at the forefront of the industry movement to ensure quality of health information on the internet. A.D.A.M. is a founding member of Hi-Ethics, a nonprofit organization that was established to address concerns over the security, quality, and ethical standards of consumer health information on the internet. Today, Hi-Ethics has become part of the Center for Information Therapy. A.D.A.M. was among the first group of companies to receive URAC accreditation for health information, and has maintained its accreditation since that time. The URAC accreditation seal indicates that A.D.A.M. 's consumer health products are in compliance with 49 rigorous standards of quality and accountability, verified in an independent audit by URAC (www.urac.org). URAC performs this audit every 2 years. A.D.A.M. 's goal is to present evidence-based health information. Therefore, content in A.D.A.M. products is created by identifying the best available evidence from national guidelines, government agencies, and peer-reviewed literature, and then asking our writers and editors to create content based both on the quality of the evidence and its applicability to everyday practice. Our physician reviewers are instructed to use the best, evidence-based sources, using the following hierarchy. Source references are added to products during regularly scheduled reviews and can be found in the References section near the bottom of each article. A.D.A.M. maintains at least a two-year review schedule for our Encyclopedia and In-Depth Reports health content, and a five-year review schedule for our Complementary and Alternative Medicine content. Consists primarily of consensus medical opinion. A.D.A.M. 's content is written in plain language, for lay readers. The information is designed to be easily accessible, visually pleasing, and informative. We strive for a 5th to 7th grade reading level, logical organization, short sentences and common everyday words, and design features that make the content easy to read, understand, and use. Some of our more in-depth content is written at a higher reading level for readers who wish to pursue a more advanced study of health topics. Physicians on the A.D.A.M. Medical Review Board are affiliated with leading institutions across the country, including top hospitals as ranked by U.S. News and World Report. Physicians are chosen to review or write medical content only in the clinical areas in which they have been formally trained and actively practice. They are board certified for that specialty, where applicable. Members of the A.D.A.M. Medical Review Board are listed below. Stuart I. Henochowicz, MD, FACP, Associate Clinical Professor of Medicine, Division of Allergy, Immunology, and Rheumatology, Georgetown University Medical School, Washington, DC. Michael A. Chen, MD, PhD, Assistant Professor of Medicine, Division of Cardiology, Harborview Medical Center, University of Washington Medical School, Seattle, WA. David L. Swanson, MD, Vice Chair of Medical Dermatology, Associate Professor of Dermatology, Mayo Medical School, Scottsdale, AZ. Jacob L. Heller, MD, MHA, Emergency Medicine, Virginia Mason Medical Center, Seattle, WA. Jesse Borke, MD, FACEP, FAAEM, Attending Physician at FDR Medical Services / Millard Fillmore Suburban Hospital, Buffalo, NY. Brent Wisse, MD, Associate Professor of Medicine, Division of Metabolism, Endocrinology & Nutrition, University of Washington School of Medicine, Seattle, WA. Linda Vorvick, MD, Clinical Associate Professor, Department of Family Medicine, UW Medicine, School of Medicine, University of Washington, Seattle, WA. Michael M. Phillips, MD, Clinical Professor of Medicine, The George Washington University School of Medicine, Washington, DC. Jatin M. Vyas, MD, PhD, Assistant Professor in Medicine, Harvard Medical School; Assistant in Medicine, Division of Infectious Disease, Department of Medicine, Massachusetts General Hospital, Boston, MA. David C. Dugdale, III, MD, Professor of Medicine, Division of General Medicine, Department of Medicine, University of Washington School of Medicine. Laura J. Martin, MD, MPH, ABIM Board Certified in Internal Medicine and Hospice and Palliative Medicine Atlanta, GA.
Jennifer K. Mannheim, ARNP, Medical Staff, Department of Psychiatry and Behavioral Health, Seattle Children's Hospital, Seattle, WA. Emily Wax, RD, CNSC, University of Virginia Health System, Charlottesville, VA.
John D. Jacobson, MD, Professor of Obstetrics and Gynecology, Loma Linda University School of Medicine, Loma Linda Center for Fertility, Loma Linda, CA. LaQuita Martinez, MD, Department of Obstetrics and Gynecology, Emory Johns Creek Hospital, Alpharetta, GA.
Franklin W. Lusby, MD, Ophthalmologist, Lusby Vision Institute, La Jolla, CA. Audrey Tai, DO, MS, Assistant Clinical Professor (Voluntary), University of California - Irvine, Irvine, CA. C. Benjamin Ma, MD, Professor, Chief, Sports Medicine and Shoulder Service, UCSF Department of Orthopaedic Surgery, San Francisco, CA. Josef Shargorodsky, MD, MPH, Johns Hopkins University School of Medicine, Baltimore, MD. Neil K. Kaneshiro, MD, MHA, Clinical Assistant Professor of Pediatrics, University of Washington School of Medicine, Seattle WA. Tang Ho, MD, Assistant Professor, Division of Facial Plastic and Reconstructive Surgery, Department of Otolaryngology – Head and Neck Surgery, The University of Texas Medical School at Houston, Houston, TX. Fred K. Berger, MD, Addiction and Forensic Psychiatrist, Scripps Memorial Hospital, La Jolla, CA. Ryan James Kimmel, MD, Medical Director of Hospital Psychiatry at the University of Washington Medical Center, Seattle, WA. Timothy Rogge, MD, Medical Director, Family Medical Psychiatry Center, Kirkland, WA. Denis Hadjiliadis, MD, MHS, Paul F. Harron Jr. Associate Professor of Medicine, Pulmonary, Allergy, and Critical Care, Perelman School of Medicine, University of Pennsylvania, Philadelphia, PA.
Jason Levy, MD, Northside Radiology Associates, Atlanta, GA.
Gordon A. Starkebaum, MD, ABIM Board Certified in Rheumatology, Seattle, WA. Ann Rogers, MD, Associate Professor of Surgery; Director, Penn State Surgical Weight Loss Program, Penn State Milton S. Hershey Medical Center, Hershey, PA.
Joshua Kunin, MD, Consulting Colorectal Surgeon, Zichron Yaakov, Israel. Debra G. Wechter, MD, FACS, general surgery practice specializing in breast cancer, Virginia Mason Medical Center, Seattle, WA. A.D.A.M. also uses the VeriMed Healthcare Network to review and update many of its articles. VeriMed is a comprehensive group of over 550 practicing, board-certified physician writers and educators representing all medical subspecialties. VeriMed doctors are affiliated with leading institutions across the country, including the top hospitals as ranked by U.S. News and World Report. A.D.A.M. works closely with VeriMed on a daily basis. VeriMed physicians are chosen to review or write medical content only in the clinical areas in which they have been formally trained and actively practice. They are board certified or board eligible for that specialty, where applicable. Some of these physician reviewers are listed below. Larry A. Weinrauch MD, Assistant Professor of Medicine, Harvard Medical School, Cardiovascular Disease and Clinical Outcomes Research, Watertown, MA. Ilona Fotek, DMD, MS, Dental Healing Arts, Jupiter, FL. Michael Kapner, DDS, General and Asthetic Dentistry, Scarsdale, NY. Richard Port, DDS, MS, Diplomate: American Boards of Orthodontics and Pediatric Dentistry, Private Practice, Orthodontics, Vernon Hills and Gurnee, IL. Kevin Berman, MD, PhD, Atlanta Center for Dermatologic Disease, Atlanta, GA.
Michael Lehrer, MD, Clinical Associate Professor, Department of Dermatology, University of Pennsylvania Medical Center, Philadelphia, PA.
Karen Dente, MD, MA, Nutritionist & Integrative Physician in Prevention and Lifestyle Medicine. Liora C. Adler, MD, Pediatric Emergency Medicine, Joe DiMaggio Children’s Hospital, Hollywood, FL. Robert Hurd, MD, Professor of Endocrinology and Health Care Ethics, Xavier University, Cincinnati, OH. Jenifer K. Lehrer, MD, Department of Gastroenterology, Aria - Jefferson Health Torresdale, Jefferson Digestive Diseases Network, Philadelphia, PA.
Subodh K. Lal, MD, Gastroenterologist with Gastrointestinal Specialists of Georgia, Austell, GA.
Subodh K. Lal, MD, Gastroenterologist with Gastrointestinal Specialists of Georgia, Smyrnal, GA.
Anna C. Edens Hurst, MD, MS, Assistant Professor in Medical Genetics, The University of Alabama at Birmingham, Birmingham, AL. Chad Haldeman-Englert, MD, FACMG, Fullerton Genetics Center, Asheville, NC. Todd Gersten, MD, Hematology/Oncology, Florida Cancer Specialists & Research Institute, Wellington, FL. Howard Goodman, MD, Gynecologic Oncology, Florida Cancer Specialists & Research Institute, West Palm Beach, FL. Richard LoCicero, MD, private practice specializing in Hematology and Medical Oncology, Longstreet Cancer Center, Gainesville, GA.
Deepak Sudheendra, MD, FSIR RPVI, Assistant Professor of Interventional Radiology & Surgery at the University of Pennsylvania Perelman School of Medicine, with an expertise in Vascular Interventional Radiology & Surgical Critical Care, Philadelphia, PA.
Paul Ballas, DO, Attending Psychiatrist, Friends Hospital, Philadelphia PA.
Steven D. Ehrlich, NMD, Solutions Acupuncture, a private practice specializing in complementary and alternative medicine, Phoenix, AZ. Walead Latif, MD, Nephrologist and Clinical Associate Professor, Rutgers Medical School, Newark, NJ. Joseph V. Campellone, MD, Division of Neurology, Cooper Medical School at Rowan University, Camden, NJ. Luc Jasmin, MD, PhD, FRCS (C), FACS, Department of Surgery, Holston Valley Medical Center, TN and St-Alexius Medical Center, ND; Department of Maxillofacial Surgery at UCSF, San Francisco, CA. Amit M. Shelat, DO, FACP, Attending Neurologist and Assistant Professor of Clinical Neurology, Stony Brook University School of Medicine, Stony Brook, NY. Irina Burd, MD, PhD, Associate Professor of Gynecology and Obstetrics at Johns Hopkins University School of Medicine, Baltimore, MD. Peter J. Chen, MD, FACOG, Associate Professor of OBGYN at Cooper Medical School at Rowan University, Camden, NJ. Daniel N. Sacks MD, FACOG, Obstetrics & Gynecology in Private Practice, West Palm Beach, FL. Christopher L. Haupert, MD, Iowa Retina Consultants, West Des Moines, IA. Thomas N. Joseph, MD, Private Practice specializing in Orthopaedics, Subspecialty Foot and Ankle, Camden Bone and Joint, Camden, SC. Dennis Ogiela, MD, Orthopedic Surgeon, Danbury Hospital, Danbury, CT.
Andrew W. Piasecki, MD, Camden Bone and Joint, LLC, Orthopaedic Surgery/Sports Medicine, Camden, SC. Ashutosh Kacker, MD, FACS, Professor of Clinical Otolaryngology, Weill Cornell Medical College, and Attending Otolaryngologist, New York-Presbyterian Hospital, New York, NY. Sumana Jothi MD, FACS, Specialist in Laryngology, Assistant Clinical Professor, UCSF Otolaryngology, NCHCS VA, SFVA, San Francisco, CA. Review provided by VeriMed Healthcare Network. Frank A. Greco, MD, PhD, Director, Biophysical Laboratory, Edith Nourse Rogers Memorial Hospital, Bedford, MA. Scott I. Aydin, MD, Assistant Professor of Pediatrics, Albert Einstein College of Medicine, Division of Pediatric Cardiology and Critical Care Medicine, The Children's Hospital at Montefiore, Bronx, NY. Robert A. Cowles, MD, Associate Professor of Surgery (Pediatrics), Yale University School of Medicine, New Haven, CT.
Kimberly G. Lee, MD, MSc, IBCLC, Associate Professor of Pediatrics, Division of Neonatology, Medical University of South Carolina, Charleston, SC. Allen J. Blaivas, DO, Division of Pulmonary, Critical Care, and Sleep Medicine, VA New Jersey Health Care System, Clinical Assistant Professor, Rutger's New Jersey Medical School, East Orange, NJ. David Herold, MD, Radiation Oncologist in Jupiter, FL. Diane M. Horowitz, MD, Rheumatology and Internal Medicine, Northwell Health, Great Neck, NY. Todd Campbell, MD, FACS, Clinical Assistant Professor Department of Surgery, Volunteer Faculty, Rowan University School of Osteopathic Medicine, Stratford, NJ; Staff General Surgeon, Wilmington VA Medical Center, Wilmington, DE. David A. Lickstein, MD, FACS, specializing in cosmetic and reconstructive plastic surgery, Palm Beach Gardens, FL. John E. Meilahn, MD, Bariatric Surgery, Chestnut Hill Surgical Associates, Philadelphia, PA.
Jennifer Sobol, DO, Urologist with the Michigan Institute of Urology, West Bloomfield, MI. Sovrin M. Shah, MD, Assistant Professor, Department of Urology, The Icahn School of Medicine at Mount Sinai, New York, NY. A.D.A.M. uses primarily internal personnel to write, review, and update its articles. All new and updated articles are then reviewed and approved by a member of our medical review board with expertise in the subject area. Internal personnel have a minimum of 5 years of experience writing and editing health content. Articles reviewed by this team of professionals are referenced using "A.D.A.M. Editorial Team: David Zieve, MD, MHA, Isla Ogilvie, PhD," and are documented as such in the "Reviewed by" section of relevant articles. Members of this team are listed below. Dr. Zieve joined A.D.A.M. to set new industry standards for evidence-based health content. Prior to joining A.D.A.M., Dr. Zieve served as editor and product manager at Milliman Care Guidelines. Milliman is considered the industry standard for independently developed and produced evidence-based clinical guidelines used in a variety of web-based case management applications in hospitals, insurance companies, and case management agencies. With over 20 years of experience producing medical content for a range of audiences, Brenda Conaway has an extensive background in Consumer Health. For the past three years, Brenda has played a pivotal role in the development of new content and products, using her experience to improve existing A.D.AM products and making sure that our products are evidence-based. In her role as Editorial Director for A.D.A.M, Brenda oversees strategic content development and overall editorial operations, ensuring that all A.D.A.M. products meet the highest standards of medical accuracy and reader accessibility. Prior to joining A.D.A.M., she had her own business working as a writer, editor, and project manager for clients such as Cancer Today, WebMD, and Tufts University. Before that, she was Senior Editorial Manager at StayWell, where she managed the editorial department, overseeing the production of more than 60 custom publications and producing award-winning content for both consumers and health care providers. Theodora Szasz has broad expertise in medical writing and biomedical science after more than 15 years combined experience in research and clinical practice. Prior to joining the A.D.A.M. team as a managing editor, Theodora worked as a research post-doctoral fellow at the Medical College of Georgia (Augusta University, Augusta, GA). During her biomedical research career, she studied novel hypotheses in smooth muscle biology, cardiovascular/metabolic physiology and immunology. Theodora obtained her PhD in Microbiology and Molecular Genetics from Michigan State University (East Lansing, MI) and prior to that her MD from the Iuliu Hatieganu University of Medicine and Pharmacy (Cluj-Napoca, Romania). Theodora’s work has been published in more than 25 publications in high impact peer-reviewed journals, presented at national and international science meetings, and awarded competitive grants and fellowships from the American Heart Association and the National Institutes of Health. At A.D.A.M., Theodora oversees content development for several products and assists with training and quality assurance. A.D.A.M. 's editorial team members have a minimum of 5 to 10 years in the health content industry. Some members of the writing team have clinical backgrounds. Their work is carefully scrutinized for medical accuracy, adherence to our centrist editorial voice, and patient and consumer friendliness. Editors receive ongoing evaluation, feedback, and encouragement from staff physicians and senior editors at A.D.A.M. Our team of physicians also reviews all illustrations, animations, and supporting text. Reviewer names are documented as such in the “Reviewed by” section of the image page. A.D.A.M. uses professionally trained, master degreed medical illustrators to create and update visual content, including images, animations and supporting text, in consultation with physician reviewers. Mr. Johnson has played key roles in product development since 1992. Dan has been instrumental in creating the look and feel of A.D.A.M.’s award-winning visual assets, including 2D image and animation content development, audio and video capture and post-production as well as medical illustration and animation art direction. His expertise has enabled A.D.A.M. to become and sustain a leadership role in providing high quality content to our clients, and ensure consumers and patients can understand complex medical topics. Dan completed his Masters of Science degree in Medical Illustration from the Medical College of Georgia in 1992. User feedback is important to us. All comments are read by our Senior Editorial staff and assessed for importance. If comments indicate a serious issue with an article, a full medical review can be triggered and the feedback is given to the physician to use while reviewing the article. If a comment relates to medical accuracy, any changes made are based on a physician review of the comment. Smaller issues such as typos and broken links are fixed as soon as possible. Suggestions for new articles, images, and animations are always appreciated. We will not respond to Editorial comments unless specifically requested to do so, or in the event we have questions regarding a comment. If a response is requested, we will make every attempt to contact the commenter within three (3) business days. A.D.A.M. content is accessible via A.D.A.M. customer websites, using the user’s PC and a standard web browser. The content is displayed in HTML, and consists primarily of text, images, or animation content. Browser plug-ins are required to view some content types, and can be downloaded free from various third party websites. One of the most useful technologies for enabling website access for the visually impaired is the Alternate tag (ALT tag) standard, supported by HTML and most browsers. A.D.A.M. programmers use ALT tags to assign brief text descriptions to images found within the products as well as images used as links in the user interface. With a text reader, a visually impaired user can get an audio description of the ALT-tagged image or link, thus providing the end user the ability to navigate a site. A.D.A.M. will continue to include and add additional ALT tags to our code as well as look into other technologies. A.D.A.M. licenses/resells third party content. This content may or may not contain all information normally included in our articles, such as the specific reviewer name. If the reviewer name is absent, the source of the content is recognized as the institution that produced and/or reviewed the content. If A.D.A.M. has not provided the specific reviewer information from the third party vendor, A.D.A.M. cannot display the specific reviewer information with the article, only the institution name. A.D.A.M. continues to review “best in class” content providers. Availability of reviewer information is one of the criterion by which we judge third party content. As vendors are found and reviewed, A.D.A.M. reserves the right to add, replace, or remove third party content from our licensed product line. A.D.A.M. uses internal personnel to write and update its health management tools, including health risk assessments (HRAs), Decision Assists (DAs), and wellness tools. 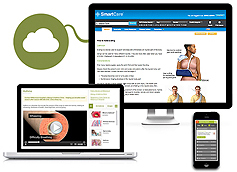 Information in these tools is written in plain language and is drawn from the medical evidence and major clinical guidelines as documented in the references section. References are provided for each individual tool. Updates of these tools are documented as such in the “Reviewed by” section of the article. All tools are reviewed and approved by two people every 2 years, including a physician. The following guidelines have been established by A.D.A.M. to govern advertising and sponsorship. For these purposes, “advertising” includes banner, contextual advertising, sponsored content, and/or promotions. “Sponsorship” includes all third party entities that create, promote, and/or distribute products and services. These regulations govern issues such as acceptance or denial of advertisements and or sponsorship by A.D.A.M. This policy may be modified at any time using A.D.A.M.’s sole discretion. If a modification occurs, A.D.A.M. will post a revised policy to the www.adam.com site. A.D.A.M. does not accept advertising from outside parties to be displayed either on the www.adam.com website, the demonstration website, the online store located on the www.adam.com website, or in the A.D.A.M. licensed content. A.D.A.M. does not place advertisements in our content, nor do we generate any revenue from advertising or sponsorships. Clients who license our content may place advertising on the individual content pages, and may use words, design, or placement to differentiate this from their A.D.A.M. licensed content. The client has the ability to decide how to differentiate between A.D.A.M. licensed content and sponsored content. A.D.A.M. has sole discretion for determining the types of advertising that will be accepted and displayed on the www.adam.com, and under no circumstances shall A.D.A.M.’s acceptance of any advertisement be considered an endorsement of the product(s) and/or service(s) advertised or for the company that manufactures, distributes, or promotes such product(s) or service(s). A.D.A.M. retains the exclusive right to determine the way in which all search results for specific information by topic, keyword, or code are displayed on the www.adam.com website or in A.D.A.M. licensed content. A.D.A.M. search results are not influenced based on monetary incentives provided by any advertisers or sponsors. A.D.A.M. does not license or display “sponsored” content on the www.adam.com website or license “sponsored” content to our clients. All content found on our website or licensed to our clients has been created by, provided by, or influenced by either A.D.A.M. personnel or consulting professionals hired through our preferred vendors, who have a demonstrated ability to track, review schedules, article versions, and ongoing feedback on specific information. Vendors must also have safeguards against editorial conflicts of interest. A.D.A.M. will not contact you to promote goods and services. A.D.A.M. will contact you only if you have selected “Yes” from the “Would you like to receive future email updates from A.D.A.M.” checkbox found in our online forms or requested sales information through our sales contact form. All Medical Review Board physicians working on an A.D.A.M. project are required to disclose conflict-of-interest affiliations with any organization, pharmaceutical company, or medical device company when signing a consulting agreement to work with A.D.A.M. All physicians must also disclose any conflict-of-interest affiliations when they agree to an assignment. A.D.A.M.’s Medical Director evaluates any potential conflict of interest disclosed by a physician, and makes a decision whether or not to continue using the physician. If conflict of interest is determined, the physician will be reassigned or steps will be taken to rectify the situation. Funding: Research support (including grants, salaries, equipment, supplies, and other expenses) by organizations, pharmaceutical companies, or medical device companies that may gain or lose financially through their work as a consumer health reviewer. Employment: Recent or current engagement in a research project or anticipated employment by any organization, pharmaceutical company, or medical device company that may gain or lose financially through their work as a consumer health reviewer. Personal financial interests: Stocks, shares, consultation fees, or other forms of payment from any organization, pharmaceutical company, or medical device company that may gain or lose financially through their work as a consumer health reviewer; and patents or patent applications that may be affected by their work as a consumer health reviewer. A.D.A.M.’s Editorial Team members must disclose all financial and/or other interests they may have in medical, medical device, biotech, drug, or other companies that have a vested interest and/or influence in health care. Disclosures must be made to the appropriate manager, director, or vice president at hiring or when said interest develops. Supervisors will review with company officers to decide if there is a conflict of interest. If conflict of interest is determined, the staff member will be reassigned or steps will be taken to rectify the situation. A.D.A.M. has no conflicts of interest in editorial decisions. Our review partner, VeriMed, asks their professionals about potential conflicts of interest and discloses any potential conflicts of interest to A.D.A.M. To date, no reviewers have had any conflicts of interest. As most of the physicians VeriMed uses are in fellowships and at the peak of their academic training, they tend not to be at the point of their careers where they have developed consulting agreements with pharmaceutical and/or device companies. A.D.A.M.’s editorial processes are completely independent of any client relationships, except when we develop custom content for specific clients. In these instances, the content does not, nor will it ever, contain any mention of URAC or display the seal. All A.D.A.M. Editorial and Visual Production staff members must disclose conflict-of-interest affiliations with any organization, pharmaceutical company, or medical device company. Disclosures must be made to the appropriate manager, director, or vice president at hiring or when such an interest develops. Supervisors review with company officers to decide if a conflict of interest does exist. If conflict of interest is determined, the staff member is reassigned or steps are taken to rectify the situation. All Medical Review Board physicians working on an A.D.A.M. project are required to disclose conflict-of-interest affiliations with any organization, pharmaceutical company, or medical device company signing a consulting agreement to work with A.D.A.M. All physicians must also disclose any conflict-of-interest affiliations when they agree to an assignment. A.D.A.M.’s Medical Director evaluates any potential conflict of interest disclosed by a physician and makes a decision on whether or not to continue using the physician’s services. If conflict of interest is determined, the physician is reassigned or steps are taken to rectify the situation. A.D.A.M. has no conflicts of interest in editorial decisions. Our review partner, VeriMed Healthcare Network, asks their professionals about potential conflicts of interest and discloses any potential conflicts of interest to A.D.A.M. To date, no reviewers have had any conflicts of interest. As most of the physicians VeriMed uses are in fellowships and at the peak of their academic training, they tend not to be at the point of their careers where they have developed consulting agreements with pharmaceutical or device companies. A.D.A.M. has no financial and/or business relationship based on linking to third party websites. A.D.A.M. selects its content partners after a thorough analysis of competing vendors. Only vendors with high editorial standards are considered, such as Reuters News, HealthDay News, Thomson, and Lexicomp. A final decision is made based on vendors that use qualified staff and have reliable procedures in place for developing and updating their own content. This includes a demonstrated ability to track review schedules, article versions, and ongoing feedback on specific information. Vendors must also have safeguards against editorial conflicts of interest. For more information, please read our linking policy below. A.D.A.M. is owned by Ebix, Inc. (EBIX-NASDAQ), a publicly traded company. Our content is not supported or endorsed by any individual, group, company, or industry that could influence the content. Content is developed by qualified staff, including physician review, and kept up to date. These sites do not have financial or business relationships with A.D.A.M. A content user can report the existence of any broken link through A.D.A.M. 's user feedback mechanism. All reported broken links are entered into the user feedback tracking mechanism, fixed, and the status of the link is then reported back to the user or client. A.D.A.M. does not notify the user that selecting one of these linked sites may take them away from the host site, nor do we provide the information in a pop-up window. The decision of how to handle linked sites is left up to the individual client. Spyware is software that is installed deceptively to gather information about you without your knowledge. This can include centrally recording your personal internet usage, monitoring your keyboard strokes, or capturing personal information. Web pages and content provided by A.D.A.M. contain NO spyware. A.D.A.M. does not condone the use of spyware nor support the distribution of spyware to others. On occasion, A.D.A.M. uses “Session Cookies,” which are not considered “Spyware,” to enhance the usability and functionality of the A.D.A.M. websites, in particular our Online Store. Information derived from “Session Cookies” is solely used by A.D.A.M., Versign, and our shipping vendors to move you through the forms needed to purchase, process, and ship a product, and not in any way distributed to any other third parties. In addition, these cookies may be used to determine if the user has previously completed an online form, and populate these previous responses in the form. “Cookies” are solely used to enhance the user experience of the website to the end user. In no way is the information contained in or derived from the use of “Cookies” used outside the scope of its intended purpose. Therefore, A.D.A.M. does not support false and/or misleading claims from advertisements or sponsors, nor does A.D.A.M. knowingly publish false and/or misleading claims. A.D.A.M. does not support the promotion of ineffective or dangerous products. In fact, A.D.A.M. does not promote any medical products or service within our content. All physician reviewers will not knowingly introduce false or misleading claims into A.D.A.M. content. In addition, all A.D.A.M. editorial and visual production staff will not knowingly introduce false or misleading claims into A.D.A.M. content. All physician reviewers will not knowingly promote ineffective or dangerous products within A.D.A.M. content. In addition, all A.D.A.M. editorial and visual production staff will not knowingly promote ineffective or dangerous products within A.D.A.M. content. If a false or misleading claim is determined, steps are taken to rectify the situation. The Editorial Director and Managing Editor will follow up on client or consumer feedback indicating possible false or misleading claims in A.D.A.M. content by immediately sending the content for physician review. The Editorial Director and Managing Editor will follow up on client or consumer feedback indicating possible false or misleading claims, or the promotion of ineffective or dangerous products, in A.D.A.M. content by immediately sending the content for physician review. The Medical Director, Editorial Director, and Managing Editor will make spot checks of reviews and published content for adherence to this policy. In the event of a possible false or misleading claim, or the promotion of ineffective or dangerous products, an article can be rejected by the Editorial Team and sent back to the editor or physician for another round of review and editing. In the event information or content is identified and determined to be inaccurate or misleading, or the promotion of ineffective or dangerous products is identified, the Editorial Team immediately assigns the article to a physician reviewer with a "rush" deadline. The physician reviewer will carefully review the article, make the appropriate change(s), and send it back to the Editorial Team for review as part of the review workflow. The Editorial Director will ensure that the content is now correct and meets or exceeds A.D.A.M. editorial standards, and will accept the change and push the content for Spanish translation (if there is a Spanish product equivalent). Once translated, reviewed, accepted by the Editorial Director one final time, the content is published and made available to our clients. Once published, changed content is immediately available on the A.D.A.M. demonstration site and hosted client sites, and made available for download for our clients through TransADAM, our proprietary content distribution software. Once an identified issue is completed, the QOC committee will review the procedure to ensure this project was completed in a timely manner (usually within 2 to 3 days, including translation).